This article is going to tell you a list of the best video collage maker apps for your iPhone & iPad. 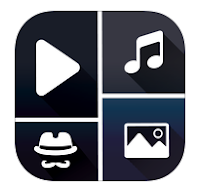 If you want to make collages of your video clips, these apps would be very useful for you. We’ve listed here only free apps which are really useful to make video collages on your iOS device. 1. Vidstitch Video Collage for Instagram ( iPhone & iPad ) – VidStitch Video Collage app is a great video collage maker that lets you create quick video collage by adding your photos and videos. With the help of VidStitch, you can easily create awesome video collages and share your creation with your friends. The app comes with a clean user interface and different styles of collage frames. You can download Vidstitch free of cost on your iPhone or iPad. 2. 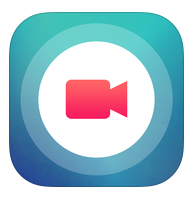 InstaVideo ( iPhone & iPad ) – InstaVideo is a complete video app that comes with many useful features. The app lets you capture your beautiful moments with video camera option, create awesome video collages with the help of video collage maker option and edit video using video editing option. The app includes lots of useful features which can only be found in paid apps but you can download this app free of cost on your iDevice. The app contains more than 100 video collage frames, slideshow maker option with stylish effects, transitions and zooming effects. 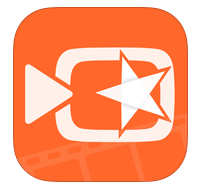 One of the best video apps on the iOS Appstore to make video collages and edit your videos. 3. VivaVideo ( iPhone ) – VivaVideo is a great video editing application for iOS users that comes with various tools including video collage making option. 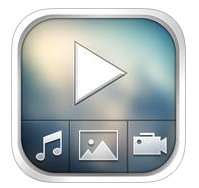 The app lets you create professional video collages and edit your videos by adding different types of visual effects. The app also helps you make videos from your photos. You can access this feature by choosing Slideshow option. A complete video editor that comes with tons of video effects, video materials, animated video stickers and video filters. 4. VidArt Free ( iPhone & iPad ) – Simple and clean video collage maker app to combine your videos into a single video. VidArt Free is a great free app that lets you make beautiful video collages by adding multiple videos, choosing background music and adding texts and stickers. 5. Photo & Video Collage Maker for Instagram Vine & YouTube ( iPhone & iPad ) – Very useful app to create photo and video collages on your iDevice. The app helps you make beautiful collages quickly by adding videos and photos. The app contains more than 60 adjustable collage frames with lots of editing option. Great app that can be installed free of cost on your iPhone and iPad.